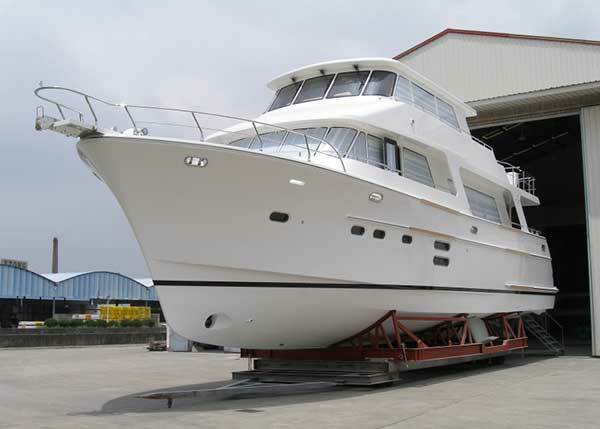 On July 15th of this year I traveled to Shanghai for purposes of touring the Hampton Shipyard, meeting with its owner and performing final inspections of the new Hampton Endurance 686, hull # 22. 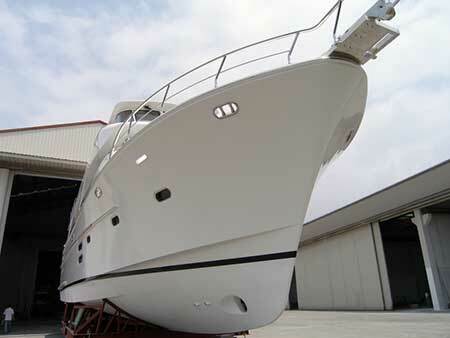 Hampton Yacht's Shipyard is building fiberglass yachts that are built to extremely high standards of quality. 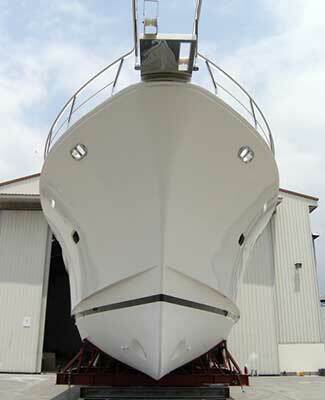 The solidly constructed hulls of the Hampton Yachts are all hand-laid up. Using many layers of fiberglass mat and woven roving plus 2 – 3 layers of Kevlar, it is my impression that I would worry more about the rock or reef that one of these yachts ran aground on than I would the hull of a Hampton yacht. Besides being impressively strong, these yachts are fit and finished beautifully in quality hardwoods of the original owner's choosing. The stainless steel work as well as the carpentry is all done "in-house" and the exterior gel-cote work is flawlessly fair as the topsides and flat surfaces project a nearly perfect reflection. Couple all of the above with a yacht that is wired and plumbed in keeping with ABYC standards and was originally designed and tank tested by Howard Apollonio and I will promise you that, Hampton and Hampton's Endurance Yachts are providing the absolutely best fiberglass yacht for a stunning value and are a better yacht than competitively sized yachts which cost $1.0 M more. One can spend more but, they won't get a better yacht than an Endurance yacht by the Hampton Yacht Co.
Notes on 2016 Hampton Endurance 686, #22. 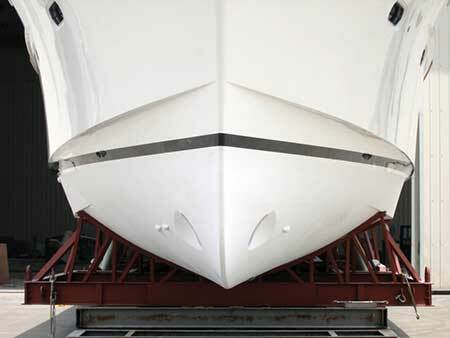 "In my opinion, this is the finest Hampton Endurance Yacht built to date." #686-22 incorporates the following outstanding features; a sky-lounge/fly-bridge helm with day head and 45,000 BTU's of chilled water A/C and 3 air-handlers for this area. 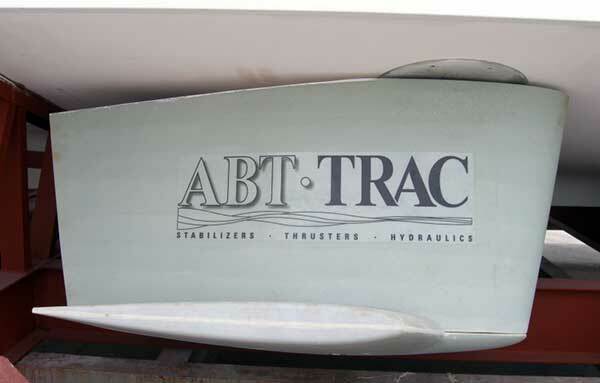 Additionally, this yacht was built with zero-speed ABT Trac stabilizers, Sea-Torque Prop-shaft encasement drive system connected to a flex shaft coupling to eliminate vibration and noise. This prop-shaft oil emersion system reduces resistance measurably and increases performance of the yacht by 2.5% – 3%. 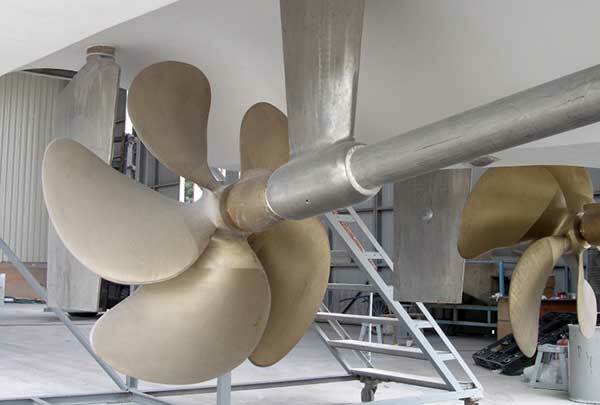 The bow and stern thrusters are hydraulically driven by PTO's on both main engines and these power the anchor windlass as well. The list of standard features of a Hampton Yacht built to Anchor Yacht Sales' standards and specifications is impressively complete so, if you are seeking a yacht with comfortable long cruising range capability but also one that can jump up and on plane and run at 20 + knots then, you owe it to yourself to take a good long hard look at the Endurance 686 by Hampton Yachts. If you do, I am certain that you won't buy any other yacht. Endurance 686-22 is for sale, is presently located in Ft. Lauderdale and, will be on display at the Fort Lauderdale Int'l. Boat Show. Contact Ed for more information. His cellular phone number is (954)-646-1609 or email ed@qualityyachtsforsale.com.